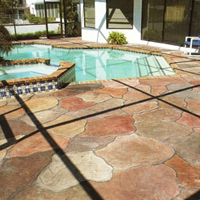 Installation of Epoxy River Gravel is a great decorative addition to existing pool decks, patios, walkways and driveways. 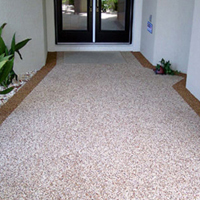 Epoxy Gravel is a smooth porous non-slip decking that is easy to maintain, and is mildew and chemical resistant. Installation of Cool Decking is a great upgrade to existing pool decks, patios, walkways and driveways. Cool Decking is very porous which will cause water to evaporate quickly. Cool Decking has many different options, from color sealing to different designs and patterns. 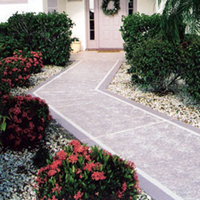 Concrete Design Overlay is a decorative acrylic modified cement coating which is stronger and more flexible than conventional concrete. Easily installed for both interior and exterior projects with unlimited custom colors, patterns, and designs. Acrylic decking is a decorative acrylic modified cement coating which is stronger and more flexible than conventional concrete. Easily installed for both interior and exterior projects with unlimited custom colors, patterns, and designs. 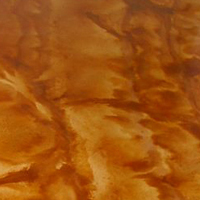 Application of Acid Staining is a very unique option for customizing bare concrete. 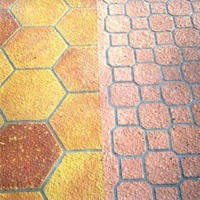 Various concrete color effects used in residential, commercial, industrial, and food service flooring. Pressure Cleaning or Pressure Washing is important to the upkeep and maintenance of all decks, driveways, walkways, and driveways. 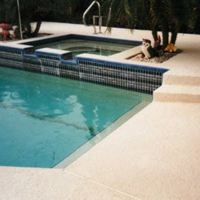 Gulf Coast Applicators has been installing and maintaining decorative deck coatings since 1980. We use the finest products and fairest pricing for each job, in which the company founder and owner will oversee personally. From residential decking to commercial showroom flooring, your job is very important to us.